Bedale is located mid-way between the Yorkshire Dales to its west and the North Yorkshire Moors to its east. 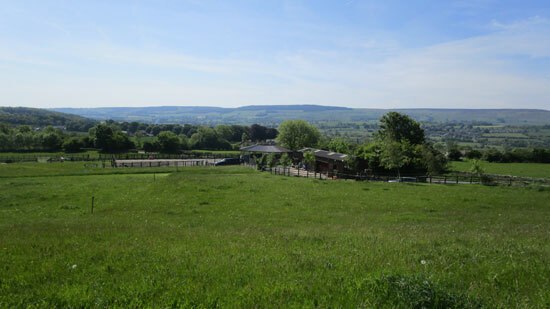 The town is just a mile off the A1, providing a convenient access point to the Yorkshire Dales along the A684 and west on to Leyburn. In common with other towns on the outskirts of the Yorkshire Dales it claims the name 'Gateway to the Dales'. It's a good place to stock up on any essentials that you might need for your holiday in the Yorkshire Dales or indeed Yorkshire Moors, or a place to stay if you prefer a lively town to return to after a day's walking rather than the solitude of the fells. The high street offers plenty of shops and amenities. Bedale is a thriving market town - markets held on Tuesdays. There is free parking in the market place and just off Bridge Street which is quite unusual in today's England. Bedale is one of the towns on the ancient drover's route that cattlemen drove their cattle along on the way to market. Its long history as a town on trading crossroads and market town ensured its prosperity and continued survival. There remains a 14th century market cross at the top of Emgate and some handsome Georgian buildings. Summer is the best time for most people to visit the Yorkshire Dales (other than serious hikers who walk despite the weather). The blend of grassy hills, woodland, stone buildings, sheep and blue sky make for pleasing landscapes. Yorkshire people are very good at adding to the colour by maintaining flower filled gardens and hanging baskets. This makes Bedale an attractive place to stay when exploring north Yorkshire and it is not far from the A1 for that return journey home. The public park has a preserved Ice House and of all things a Leech House, both of which were very essential a couple of centuries ago.